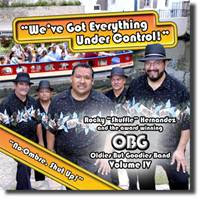 December 4th-San Antonio Star Gala, "Una Noche con las Estrellas" presented by Brandi Lopez & Latin Fusion, from 6p.m. -11:30 p.m. @ the Wonderland of the Americas Mall, 4522 Fredericksburg Road. December 7th-Girls Inc. of San Antonio Hosts President/CEO Meet & Greet from 5:30 p.m.-7 p.m., 1209 South Saint Mary's. Free Event, No RSVP required. December 7th-Fundraiser for SAISD Board Member Olga Hernandez, @ Mary Lou's Restaurant on McCullough from 5-7 p.m.
December 8th-The San Antonio Independent School District & Fox Tech High School cordially invites you to the dedication ceremony of the Judge Andy Mireles Law Magnet Center, 637 N. Main Ave. Wednesday, December 8th @ 5:30 p.m.
December 8th-Small, Minority, Women, & Veteran's Business Owners (SMWVBO) Conference from 7 a.m.-4 p.m. @ Freeman Coliseum on E. Commerce near the AT&T Center. @ Luke Restaurant 125 E Houston St. from 5:30 -7 p.m. RSVP - 210 355- 8207. December 10th-Bexar County Adult Probation Officers Association & the San Antonio AFL-CIO invite you to a "Christmas Party" from 7-midnight @ Pueblo Hall, 3315 Northwestern. December 10th-Senator Carlos Uresti will host his 14th Annual District Christmas Party and Toy Drive at VFW Post 9186, 650 VFW Blvd. 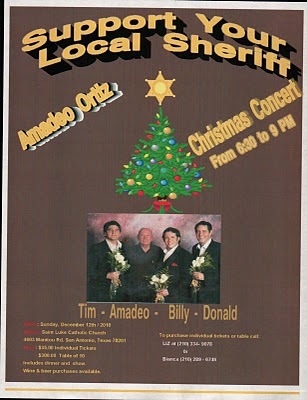 in San Antonio, from 6 to 11 p.m.
December 12th-Support Your Local Sheriff, (Amadeo Ortiz) Christmas Concert, @6:30 p.m., @ St. Luke Catholic Church, 4602 Manitou. December 14th-An Appreciation Reception for Congressman Ciro Rodriguez, @ 7 p.m. @ the Marriott Plaza, Hidalgo Ballroom, 555 S. Alamo. RSVP: Evan Hicks @ 928-2476. 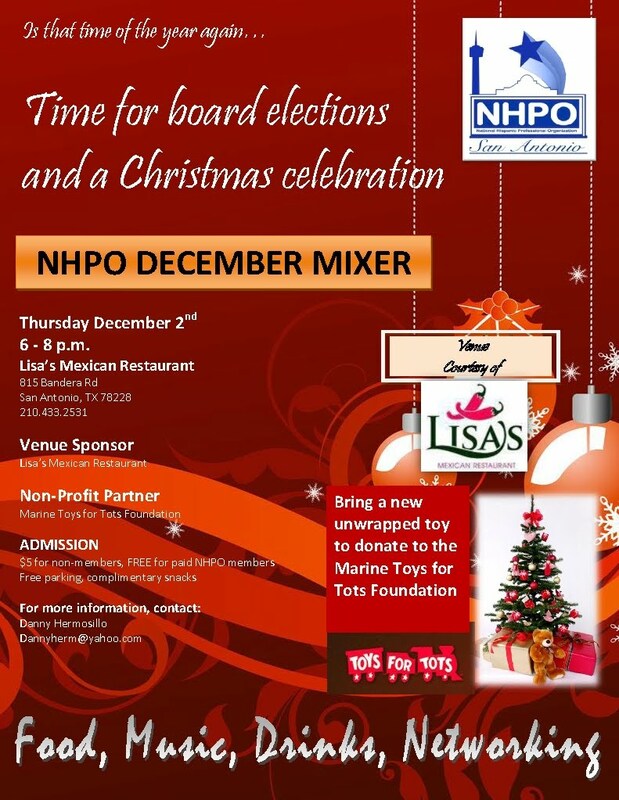 December 14th-KTSA 550 Talk Show Host Jack Riccardi hosts his 12th Annual "Wrappin with Jack" @Northside Ford on San Pedro from 7-9 p.m.
December 17th-Fundraiser for Council candidate Leticia Cantu @ COCO XO from 7-10 p.m.
World AIDS Day is a day of remembrance for all of those who have lost their lives to AIDS. While health outcomes for people infected with HIV/AIDS have improved, the effects of this disease remain devastating globally. In observance of World AIDS Day, Metro Health will conduct free HIV and Syphilis testing on Wednesday, Dec. 1st at the Central Library Auditorium, 600 Soledad. Metro Health activities are scheduled from 10 a.m. – 4 p.m. There will be presentations on the epidemiology of HIV/AIDS in Bexar County and an educational interactive event. HIV tests to anyone requesting them on World AIDS Day at the library and the STD/HIV clinic at 332 W. Commerce. The San Antonio Independent School District & Fox Tech High School cordially invites you to the dedication ceremony of the Judge Andy Mireles Law Magnet Center, 637 N. Main Ave. Wednesday, December 8th @ 5:30 p.m.
NHPO Mixer, December 2nd @ Lisa's Mexican Restaurant, 815 Bandera Road, from 6-8 p.m.
An Appreciation Reception for Congressman Ciro Rodriguez, December 14th @ 7 p.m. @ the Marriott Plaza, Hidalgo Ballroom, 555 S. Alamo. RSVP: Evan Hicks @ 928-2476. 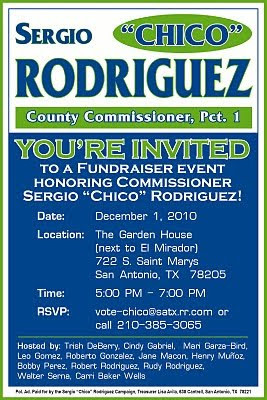 You are invited to a fundraiser event, December 1st from 5-7 p.m. for Commissioner Sergio "Chico" Rodriguez, @ the Garden House, 722 S. St. Mary's. 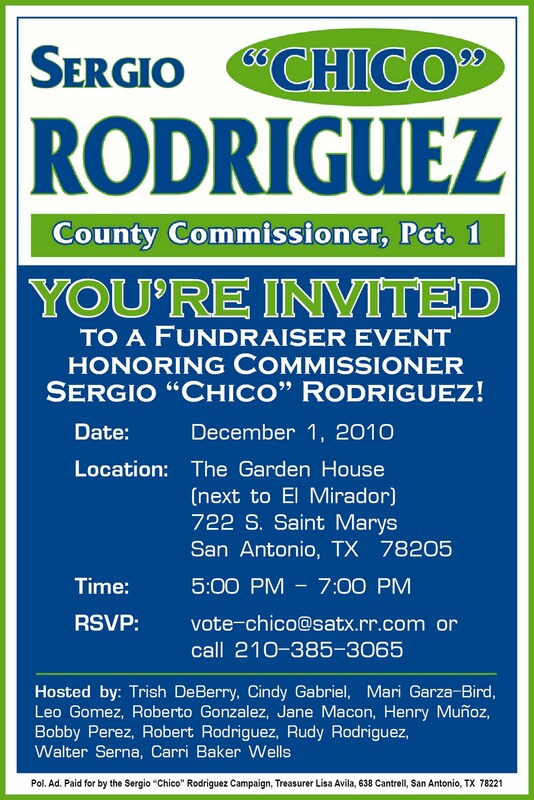 RSVP: vote-chico@satx.rr.com or call: 385-3065. San Antonio Star Gala, "Una Noche con las Estrellas" presented by Brandi Lopez & Latin Fusion, from 6p.m. -11:30 p.m. December 4th @ the Wonderland of the Americas Mall, 4522 Fredericksburg Road. Support Your Local Sheriff, (Amadeo Ortiz) Christmas Concert, @6:30 p.m., December 12th @ St. Luke Catholic Church, 4602 Manitou. You are cordially invited to a "Retire The Debt" Fundraiser for Judge-Elect Genie Wright, December 8th from 5:30 -7 p.m. @ Cadillac Bar, 212 S. Flores. Call 414-7120. A retired teacher from Harlandale ISD, former adjunct professor at Wayland Baptist University and current San Antonio’s Precinct 2, Judge Stephen Walker looks to decrease dropout rates through encouraging students to continue on. The fact a judge would require a truant student to obtain a San Antonio Library card and have them submit a two-page written and oral report seems odd, but for Judge Stephen Walker it is about redirecting the student toward a path of redemption. Precinct 2, traditionally handled truancy cases in parts of NISD, NEISD, SAISD and Edgewood ISD until as of late. Due to a backlog of cases and no attendance officers, SAISD and NISD have opted to reassign truancy cases to municipal courts, in order to expedite the process. The expedition of these cases comes at the cost of students financially and educationally. “Expediting students to municipal court for fines is a short term solution to a long term problem. It acerbates the problem of students becoming a dropout statistic or worse,” he added. Fining parents and students while adding community service is not the answer to helping truants get back in the classroom and earn a high school diploma or GED. 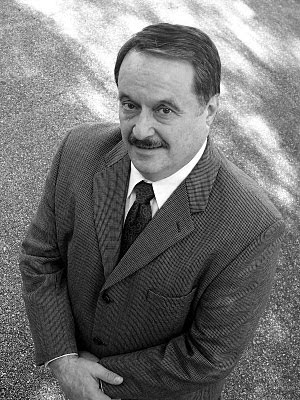 Judge Stephen Walker, who spent 26 years of his adult life as an educator, has a genuine vested interest in the rehabilitation and ultimate success of the student. Along with implementing new ways of helping students achieve ultimate success, Judge Walker feels it’s vital to have attendance officers involved. He often asks the recommendation of the attendance officer before making his final ruling. “I only get to see these kids for two or three minutes, but the attendance officers are the ones working with the students regularly,” he said. Judge Walker’s relentless commitment to the betterment of students couldn’t be seen more clearly from a case he had early this year, after he was faced with a distraught parent and a student that was cited numerous times for truancy. After working with both the mother and daughter and monitoring the student’s attendance, she is now enrolled in a local college and works in the Precinct 2 courtroom two days a week doing data entry. A student who could have been easily another dropout statistic is now on her way to a career. Judge Walker is making sure the students who pass through his court room amount to something through the power of redemption. To read more about Judge Stephen Walker, visit his website at walkerreport.net. Saturday, November 20th, Assist Veterans Memorial Board (AVMB) conducted the Groundbreaking Ceremony to start the fundraising effort, for the memorial, that had been planned throughout the year. (2009-2010) The Memorial is now committed to be across the street of SISD Sgt. Michael Barrera/Veterans Elementary School off of Smith Road, two miles outside Loop 1604 South on Hwy 16S. Assist Veterans Memorial Board (AVMB) is a Non-Profit Community Service Agency established in September 2009 under the IRS code, section 501 © (19). The board consists of nine volunteer board members from Somerset/Von Ormy, Bexar County, and Atascosa County who have served or are serving in the United States Armed Forces. Participants & Attendees at the event; Colonel Mary E. Garr, Congressman Ciro Rodriguez, Honorable Judge Diane Bautista, SISD School Board Superintendent Saul Hinojosa, Somerset Vol. Fire Dept. Chief Eddie DuGosh, SISD School Board Member Leo Salas & Dr. Omar Pachecano, Chaplain/Lt Col. Gil Richardson, Ms. Jennifer Padilla AVMB Secretary, Sgt. Raymond Gutierrez Taps for Vets, SISD JROTC Cadet Bravo, Memorial Artist Jesse Trevino, Memorial Architect Gabriel Q. Velasquez, 1st Sgt. Michael Lambria. Photos/Story by Cpt. Tony Mandujano Sr. & Jr.
Coming Sunday (Nov. 28th) in La Prensa San Antonio, a profile on Walker Report Publisher/Editor & Judge Steve Walker. Reporter (& A&M Journalism student) Dennis Ayotte highlights Walker's two years as a Judge in Pct. 2 related to Truancy. Walker retired from Harlandale ISD in 2002 after 26 years. Editor's Note: Check out the November 21st Edition of La Prensa. On page 3-A Walker wrote a commentary about NISD & SAISD sending their truants to Municipal Court and his reaction. Join Fernando Reyes, (former Rey Feo) Mayor Julian Castro, Tim Tuggey, Gene Powell, Bill Greehey and others December 8th, from 5:30 p.m.-7 p.m. @ 1220 E. Commerce for a fundraiser for Council candidate Leticia Cantu. (Photo of the Constitution) Did you know that in 1834 President Andrew Jackson paid off the national debt? ( the only President of the US to do so. Who knew?) He is quoted as saying, " Free from public debt." He wrote, "At peace with the world...the present may be hailed as the epoch of our history the most favorable for the settlement of those principles in our domestic policy which shall ber calculated to give stability to our Republic and secure the Blessings of freedom to our citizens." 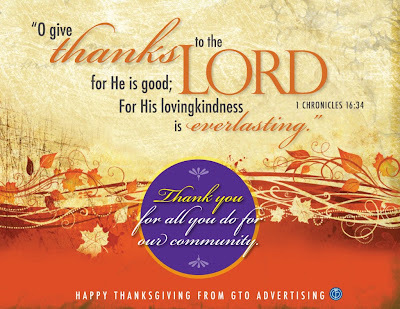 Happy Thanksgiving and Thank You Lord for All You Do! Thank You Lord for all You do. Happy Thanskgiving to everyone!!! Time has flown since November 2d!! I can't believe it is already Thanksgiving. I wanted to take just a moment before we all leave for the Holiday to tell you what a blessing you have been to me this year. Your friendship, your support, your encouragement . . . they all means more to me than I can say. I deeply thank you . . . and I look forward to serving Bexar County as Your Judge in 2011 and beyond. As Thanksgiving approaches, we can reflect over the last year with much to be thankful for. It is because of your hard work and dedication to our effort that we were able to take the Texas 23rd Congressional District for the commonsense conservative values that were the defining principles of our nations founding. Four hundred years ago a few hundred men, women and children crowded themselves onto a boat and set sail for the new world, there to search for land they could defend and find freedom and liberty. Today, we are tasked with the burden of defending those very freedoms and liberties sought by the first pilgrims. As we give thanks this year for the many blessing bestowed on us, let us always be mindful to renew our commitment to defending our freedom and liberty Over the next two years we must create and seize that opportunity. It is up to you and me to hold steadfast against the forces in Washington that would continue to bankrupt our country, eat away at our freedoms and liberties, and mortgage our future. This year we can be thankful that we have the support of people like you all over the country ready to stand up with us. So as we cut into our turkey and butter our sweet potatoes, we can do so with great thanks, for the freedoms and liberties we will enjoy tomorrow and that will be here for generations to come. Coming Sunday in La Prensa San Antonio, a profile on Walker Report Publisher/Editor & Judge Steve Walker. Reporter Dennis Ayotte highlights Walker's two years as a Judge in Pct. 2 related to Truancy. Walker retired from Harlandale ISD in 2002 after 26 years. As we near Thanksgiving Day, I'd like to share with you some of the things that I am most thankful for this holiday season. First and foremost, I am thankful for my family. I am blessed to have a beautiful wife, four wonderful children and fantastic parents and extended family. Today, I would like to thank them all for their love and support. I am also thankful to live in the greatest country in the world; and am especially grateful to live in Texas! I am thankful for all of the service men and women who have fought and continue to fight to preserve our freedoms. It is because of our strong military that I proudly serve you. Finally, I am thankful to represent you on the San Antonio City Council. It has been an honor and a privilege to serve the past 3 1/2 years and I look forward to what we will accomplish over the next 6 months. Thank you all for your support. Veteran's Fundraiser- Nov 24th @ 7 p.m.
Dr. Gloria Rodriguez (photo) San Antonio City Council District 7 candidate. "I am running for City Council Representative of District 7 and am asking for your support by joining my campaign website. 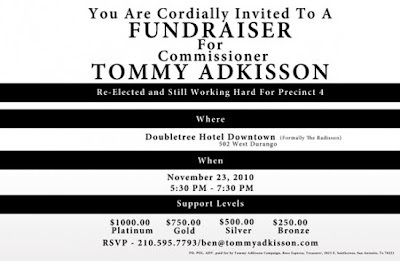 You will be able to follow me from the launching of my campaign on December 8th to election day, May 14, 2011.". 550 KTSA Talk Show Host Jack Riccardi will hosts his 12th Annual "Wrappin with Jack" @ Northside Ford from 7-9 p.m. Tuesday, December 14th. Ken Slavin will provide the entertainment. As a judge I see lots of lawyers in my courtroom. I highly respect their legal ability and most of them are great people with a great sense of humor. Here is some attorney humor! Atty: This myasthenia gravis, does it affect your memory at all? Atty: And in what ways does it affect your memory? Atty: You forget? Can you give us an example of something you forgot? Atty: Now doctor, isn't it true that when a person dies in his sleep, he doesn't know about it until the next morning? Atty: The youngest son, the twenty-year-old, how old is he? Atty: Were you present when your picture was taken? Atty: So the date of conception (of the baby) was August 8th? Atty: And what were you doing at that time? 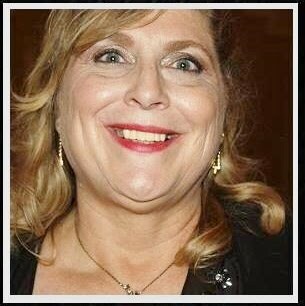 Atty: She had three children, right? Atty: How many were boys? Atty: Were there any girls? Witness : Your Honor, I think I need a different attorney Can I get a new attorney? Atty: How was your first marriage terminated? Atty: And by whose death was it terminated? Atty: Can you describe the individual? Atty: Was this a male or a female? Atty: Is your appearance here this morning pursuant to a deposition notice which I sent to your attorney? Atty: Doctor, how many of your autopsies have you performed on dead people? Atty: AllL your responses Must be oral, OK? What school did you go to? Atty: Do you recall the time that you examined the body? Atty: And Mr. Denton was dead at the time? Atty: Are you qualified to give a urine sample? Atty: Doctor, before you performed the autopsy, did you check for a pulse? Atty: Did you check for blood pressure? Atty: Did you check for breathing? Atty: So, then it is possible that the patient was alive when you began the autopsy? Atty: How can you be so sure, Doctor? Atty: I see, but could the patient have still been alive, nevertheless? Think about it! Most members of Congress are Lawyers!!!! SA 2020 held another meeting @ Roosevelt High School that drew over 800 participants to include Mayor Julian Castro and other elected officials and dignitaries, November 20th.